2012 is go go go! Firstly, while it might be a little late, we would like to wish all of our fans a very Happy New Year from everyone at Fortec. We hope you enjoyed the festive period and that 2012 is treating you well so far! We’ve been very busy over the last few weeks and we’re raring to go for the 2012 season, particularly with the addition of some new drivers to our line-up and the unveiling of this year’s Dallara F3 car at the AUTOSPORT show last week. Let’s bring you up to speed with what’s been going on since our last blog just before Christmas. Over the last three weeks we have confirmed four more drivers who will race for the team in 2012 in what is destined to be an extremely exciting year for the team. Towards the end of December we announced that Ed Jones would be joining the Formula Renault Eurocup squad for 2012; the youngster, who impressed in the inaugural year of the InterSteps Championship with Fortec in 2011, joins McLaren AUTOSPORT Award winner Oliver Rowland and young Finn Mikko Pakari at the Eurocup team. Elsewhere, Puerto Rican star Felix Serralles is to move up to the British Formula Three International Series with the team. After a consistent year in the Formula Renault Eurocup Championship and taking part in a number of UK rounds as a guest entrant, Felix proved he had what it takes to progress up to the British F3 Series and he was remarkably quick in testing towards the end of 2011. Felix is currently competing in the Toyota Racing Series in New Zealand ahead of the 2012 British F3 season and we wish him the very best of luck! So far, Felix has recorded a sixth-place finish, a seventh-place finish, and a fourth place finish. We also welcome two newbies to the team for the upcoming season. Karting sensation Cameron Twynham breaks into car racing this season with our InterSteps team and he’ll be hoping to build on Jake Dennis, Alex Walker and Ed Jones’s successes in 2011. Another new addition to the Fortec squad is Martin Cao who joins the Formula Renault BARC team after having competed in both single-seater and touring car events prior to 2012. 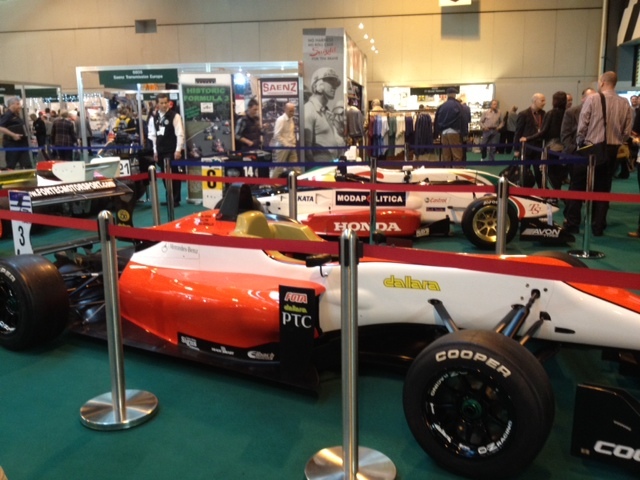 There’s no better way to see in the 2012 season than the annual AUTOSPORT show. The event, held at Birmingham’s NEC, always attracts huge crowds and this year was no different with some particularly special exhibitions, featuring two of our very own cars. One of the most talked about cars of the entire show was the all-new Dallara F312 and we were extremely proud to show ours off. Fortec’s Mercedes-powered car took pride of place at the Historic Sports Car Club stand, which showcased British Formula Three through the ages, and mapped the evolution of the F3 car perfectly. If you haven’t already seen it, here’s a picture of our 2012 car in all its glory – looks pretty good, doesn’t it?! 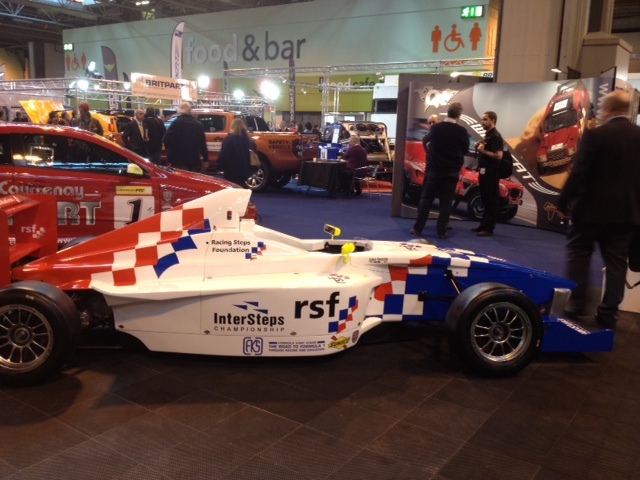 Also on show was Jake Dennis’s Championship winning Formula BMW InterSteps car; Jake’s car, in its distinctive Racing Steps Foundation livery, formed part of the British Automobile Racing Club’s stand. Fortec drivers were also in action out on track over the four days. Alex Lynn formed part of the MSA Team UK team in the Celebrity Karting Race on Thursday afternoon; the 18-year-old drove the final leg of the race in style to take a dominant victory for the team. Lynn was also in action in the Live Arena over the weekend, while Oliver Rowland – as part of his McLaren AUTOSPORT BRDC Award prize – showcased the Formula Two car to the delight of the crowd. One more piece of good news before we leave you; Oliver Rowland and Alex Lynn have both been named as part of the MSA Driver Development Scheme. The Fortec pair joins five other drivers, who will be guided by National Race Coach David Brabham. So that’s it from us for this week – stay tuned for more news by following us on twitter and facebook …we hope to have more for you soon!